Besides the décor, food and couture, the brides, oh the brides get super anxious when it comes to makeup. Well ladies, just a heads up, if you think you’re everyday primer or eye shades or lipstick is going to make you look drop dead gorgeous on your D-Day. Sunshine, it’s time to wake up and smell the coffee! Weddings are not the time when you pick out your everyday makeup to deck and look flawless. While you may think this is the safest and cheapest option to cut down your overall budget, lovelies this is an extremely bad or rather worse thought that could ever cross your mind. Hiring a professional makeup artist is the way to go if you want to achieve a photo-ready look. Professional artists use top makeup brands for brides like MAC, Bobbi Brown, Christian Dior and techniques like HD and airbrush to give you a celebrity look on your wedding day, which is why they charge you a bomb. But some of these are happy to accommodate the brands you have and want to use on your skin, which in a way could considerably cut the overall package cost. And, if you closely observe on how they apply it on your skin, you get to use you own products later on for a friend’s mehndi, sangeet or cocktail parties. It’s a win-win situation! So here are the top makeup brands for brides and affordable alternatives you could begin to hunt and stock right away until your D-Day. Most of us have started our makeup application journey through Lakmé. One of the oldest and most trusted cosmetic brands for brides in India has been beautifying women worldwide. Over time, the brand has transformed and continues to trendify the makeup industry with its unique makeup reinventions. With the introduction of its Bridal Dream Team and Absolute Collection, Lakmé has changed the way brides look at dressing up for their big day. Revlon was the first international brand to ever hit the Indian makeup industry and continues to reign as the best and most trusted choice of all. This super reliable cosmetic brand is a personal favourite of women of all ages. Its Ultra HD and PhotoReady collection are the ultimate choices of TV, Bollywood celebs and brides-to-be. Have sensitive skin and afraid to use any cosmetic products? Clinique has the premium range of products that suits all skin types, including the most sensitive, which is why it is one of the most sought after brands across the world. Whether it’s their endless skin care options or incredible cosmetic products range, Clinique doesn’t disappoint. Love MAC products, but can’t afford them? Then here is a cheaper alternative. Its products are somewhat similar to Mac and provide an incredible finish. From an unknown to one of the top cosmetic brands for brides today, Colorbar has come a long way and is here to stay. Have you ever wondered how attractive Canadian women look? Faces Canada, one of the leading skin care brand in Canada, helps you achieve that exact beauty with high quality products at the most reasonable prices. For brides-to-be on a budget, this brand comes to your rescue. This Swiss makeup brand is picking pace in the Indian market. These maybe hard to find, but if you manage to find one, don’t let go! Its face products are a huge craze for makeup lovers but can be slightly priced on a higher side. 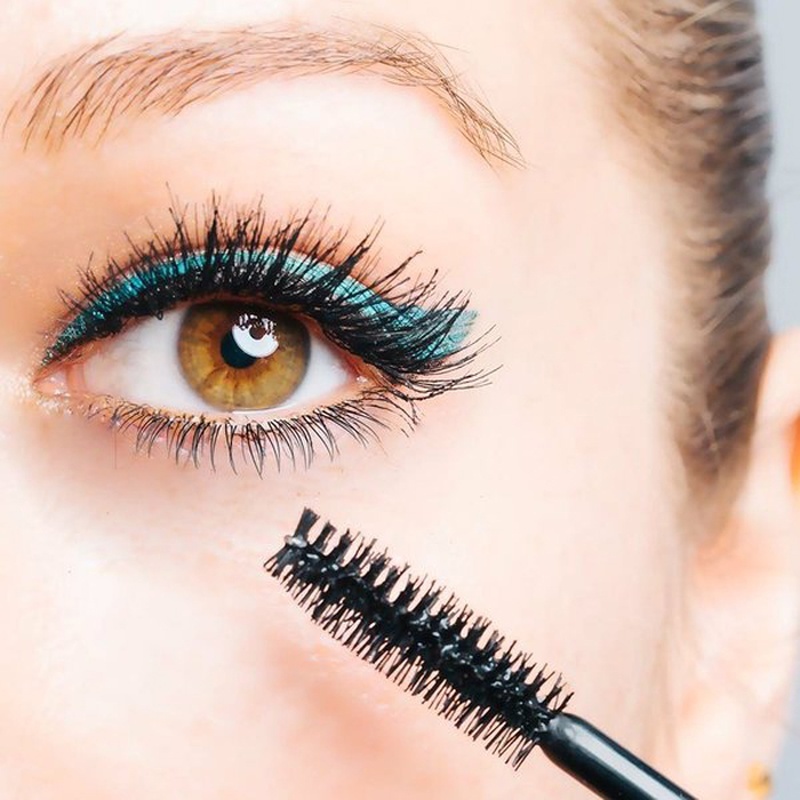 Did you know mascara was introduced to the Indian market by Maybelline? No wonder this is the most sought after luxury cosmetic brand after L’Oreal Paris. Any and every new range of makeup introduced by this company is an instant hit and gets makeup artists running to grab their hands on them first. Current Favoutite: Gigi Hadi's X Maybelline new collection. Fresh, bold and fierce it's all what a girl wants and can dream of. A cosmetic brand that is endorsed by many leading celebrities across the world is a reason enough why L’Oreal Paris is the most loved brand and every girl’s dream beauty product range. This brand never fails to deliver products that make you feel and look no less than a Hollywood celeb. Their products not only suit the Indian skin tone, but also well adapts with the weather conditions. This brand can be called a heaven for makeup. The countless range of face beauty products offered by Inglot Cosmetics can easily get you confused and excited about makeup. Its product range is made using innovative scientific technology and high quality ingredients that is skin-friendly; therefore, this is a must-have in your trousseau. This brand needs no introduction. Makeup lovers know all about it. One of the most desired makeup brands for brides across the world, MAC never rests and is always inventing to deliver makeup, styling, cosmetics and cosmetic tools that meet the demanding needs of women who love to look glam at all times. When one of the makeup gurus of the world made its grand entrance into the Indian market, Indian makeup artists went berserk. Why, what’s the big deal about Bobbi Brown you may ask? If you’ve ever watched English makeover reality shows and wondered how international television actresses achieve such natural and glam look? It’s all Bobbi Brown! Her products are blindly trusted and set so prettily even on an Indian skin tone. The French luxury brand founded by Christian Dior is a personal favourite of many celebs and makeup artists. To achieve a picture-perfect bridal look for their clients, professional makeup artists swear by international brands with Dior being their ultimate choice. For brides who are not every keen on having an over-the-top look on their D-Day, Dior is your perfect choice. Every professional makeup artist’s choice, the MUFE international cosmetic brand products give you a look that is classic, elegant and long-lasting. Ever wondered how do makeup artists create the flawless magic on your skin instantly without making you look too cakey? The base products from MUFE are the wand they whoosh. They’re naturally light on your skin and are amazingly long lasting. No wonder professional makeup artists charge a hefty amount to make you look spotlessly attractive.